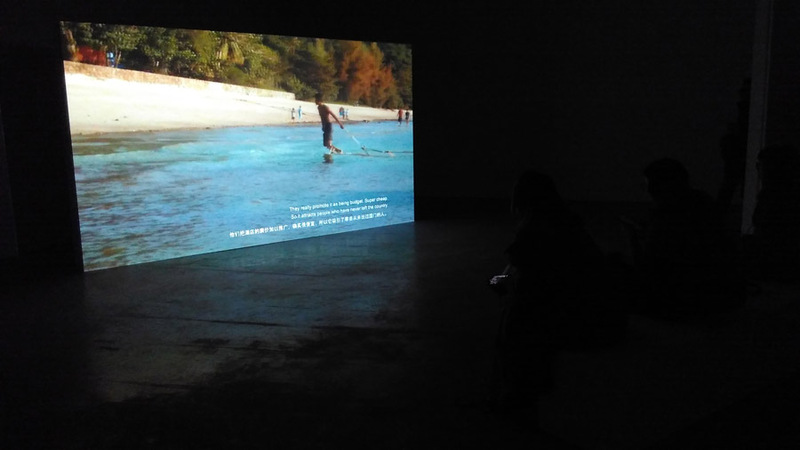 Madein gallery in was showing Shen Xin ( 沈莘 ), a video artist, female. There were two works on display. 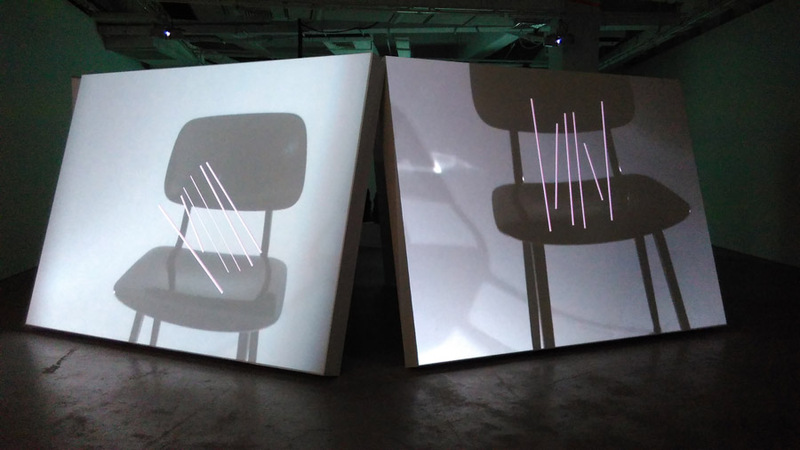 Upon entering the space, the visitors encountered a four channel video installation. It consisted of two screens with two similar shaky videos of a chair and 6 wiggling chopstick-like forms superimposed on top of it during editing. Another two screens showed an endlessly scrolling text (one English one Chinese) that appeared rather incoherent to me and I also could not make out its relation to the wiggling chopsticks.